Granite State Driving School has been in business since 2003. We currently offer programs at Alvirne High School in Hudson, NH, Derry, NH, Salem, NH,Windham, NH, Manchester, NH, and Pelham, NH. We offer afternoon and evening programs to accommodate parents and students schedules. Our programs run between six and eight weeks in length. Students will continue to drive after the last class until they complete the 10 hours of driving and a minimum of 6 hours observation required by the State of NH. We are a full-service New Hampshire driving school. We offer comprehensive, saftety-first driving instruction to both teenagers and adults. Our number one goal is to matriculate confident, knowledgeable, attentive, responsible drivers. We also offer Private Driving Lessons (ask for details). Granite State Driving School currently employees six driver educators. Combined, our staff has well over 48 years of teaching experience. ALL of our instructors are not only state certified but are also personally trained by Granite State Driving School. Prior to teaching your son or daughter the safe operation of a motor vehicle, all instructors go through a training process and are observed by the owner. Our instructors are disciplined and will challenge each student according to their skill level. The safety of our students is our first priority. 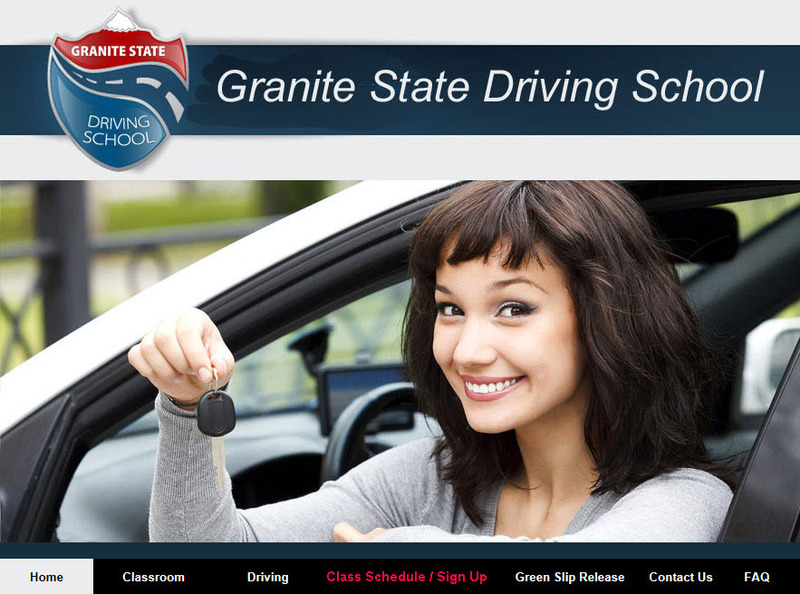 Granite State Driving School uses a team effort in teaching your son or daughter the safe operation of a motor vehicle. A parent night is scheduled for parents to meet their children's instructors.